Singapore is a tiny island nation nestled into the Malaysian peninsula, which is why for those in the Western hemisphere, it’s not a well-known travel destination. Singapore only gained its independence in 1965, so downtown Singapore has a brand new infrastructure, a clean and efficient metro that goes everywhere you want, and signs in 4 languages (including English) which makes it very easy to navigate. 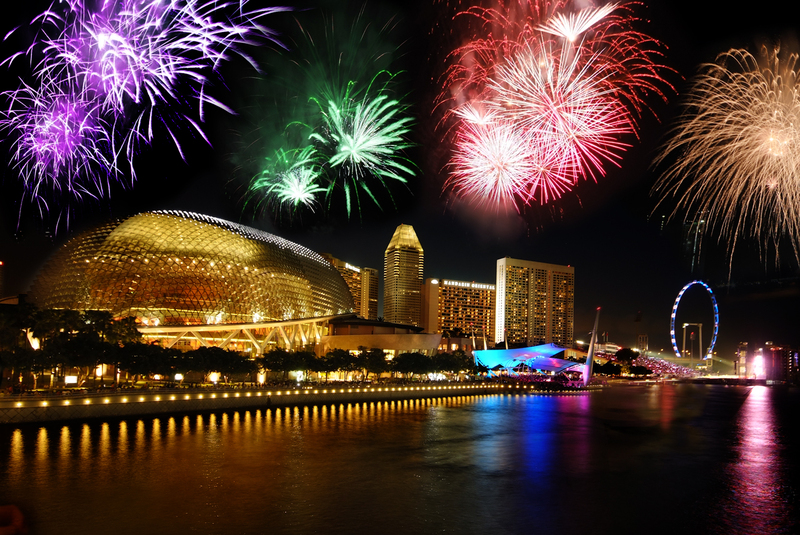 Since the population of Singapore is so diverse, there are distinct cultural neighborhoods with authentic food, music, and shopping that you should definitely visit to understand this amazing melting pot of a country. First stop: Little India. There’s a market outside the Indian Heritage Center where you can buy elephant pants or other inexpensive souvenirs. For me, Little India is the best place to eat out or shop for fresh produce if you are cooking. Stop by my favorite restaurant in Singapore, Bismillah Biryani, which has friendly staff and lives up to its slogan “probably the best biryani anywhere.” Now go to the Sri Krishan Temple, which has an unbelievably elaborate decoration on the outside and inside. If you decide to go inside, be very respectful of the worshippers (remove your shoes outside, dress appropriately, don’t speak inside, etc). A short walk away is the middle eastern neighborhood in Singapore, centered around Bali Lane. Here you can buy textiles (tapestries, carpets, scarves, etc) and again, eat some very authentic and delicious food. Stop by the glittering Masjid Sultan mosque, which should be easy to spot because of its golden dome. Now hop on the metro to Chinatown and go to the Buddha Tooth Relic Temple where you will be transported to another world with chanting monks and walls lined with thousands of Buddha statues. Again, be respectful of the worshippers. When you leave, give yourself an hour or so to wander around Chinatown, stopping for some delicious pastries along the way. Be sure to see the Gardens by the Bay – an incredible complex of gardens with sculptures, exhibits, and Supertrees. Walk along the shores of the pond for a relaxing and romantic break from the hustle and bustle of the city. In the late afternoon, go to Marina Bay to watch the sunset. Here you can see the Merlion Statue, walk across the illuminated Helix Bridge, see the famous Marina Bay Sands hotel, and take pictures of the lotus-shaped ArtScience Museum. If you want to splurge on a Singapore Sling, go to the bar on the top of the Marina Bay Sands for an incredible view. At 8pm, go back to the Gardens by the Bay for an INCREDIBLE light show in the Supertrees, set to patriotic Singaporean music. If you decide not to get a drink in the Sands, go the Singapore Flyer, the tallest ferris wheel in Asia, where you will have an equally incredible view of downtown. On the bottom floor is the Singapore Food Trail, where you can get traditional Singaporean food from vendors (called “hawkers”). National dishes include Hainanese Chicken Rice: boiled chicken on rice served with flavorful sauces, and chili crab: a spicy seafood stew served over rice. If you have time for an excursion, take the cable car to Sentosa Island which is dedicated entirely to fun! There is something for everyone, from amusement parks to beaches, to a golf course…everyone will find something to do on Sentosa. If you have a big budget, I suggest going to iFly – an indoor sky-diving simulator. If not, just soak up the sun on one of their many beaches. For a great night out, go back to downtown and find Clarke Quay. There is a large pedestrian-only shopping area with tons of bars, restaurants, and nightclubs for every taste. The lights from the buildings reflect off the water and create a magical atmosphere.